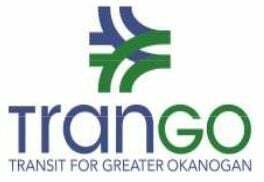 OMAK – TranGO buses were involved in two non-injury accidents recently. In the first accident, on Feb. 20, a car driven by Kelly Howard rear-ended a TranGO bus driven by Ernestina Diaz on Engh Road at Omak River Road. The bus had slowed to let another vehicle turn into a parking lot and Howard was unable to stop in time, according to an Omak Police Department report. The rear bumper and tail lights on the bus were damaged. Howard was cited for following too close. Diaz was cited for having an expired vehicle license. In second accident, on March 4, an SUV driven by Gerardo Rameirez struck the bumper of a TranGO bus at the intersection of West Sixth Avenue and Okoma Drive. Neither vehicle received much damage, according to an Omak Police Department report. Rameirez was cited for no insurance. The police report did not indicate whether the bus was occupied.